TOUR OF DUTY—More than 30 mayors from Japan visit Calabasas on Oct. 3 and learn about the Las Virgenes Creek restoration project next to the Albertsons shopping center at Las Virgenes and Agoura roads. Above, Calabasas public works director Robert Yalda explains how the dilapidated concrete channel that once lined the creek was replaced with natural vegetation, a move that promoted a healthier, safer creek. 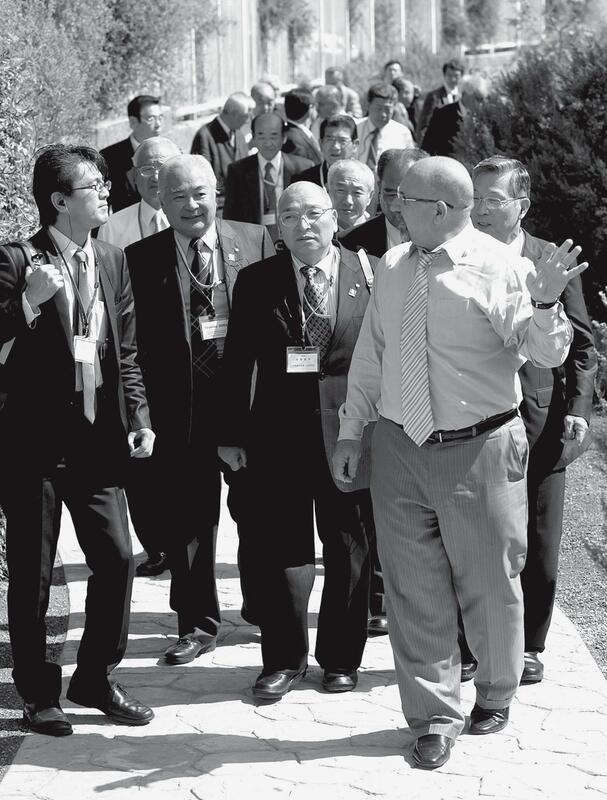 The Japanese National Association of Towns and Villages conducts similar worldwide tours to gain a better understanding of how local governments operate.